It’s been a full year since Google first released expanded text ads to advertisers globally – and what a year it’s been! Since they were first announced, advertisers were eager to begin testing the new expanded ad format, but many were hesitant to let go of their tried and true ads. 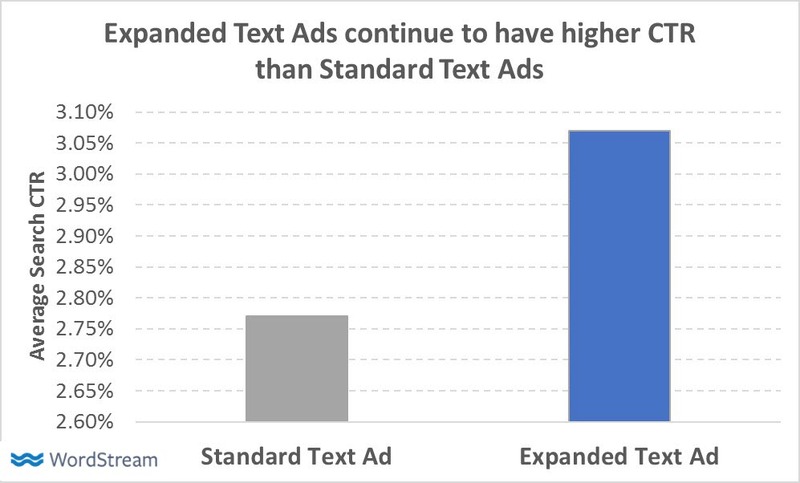 Now that standard text ads can no longer be created in either AdWords or Bing, it’s time to look at what work lies ahead of us for migrating to expanded text ads. First, some good news – 95% of search advertisers have at least begun the migration to ETAs. 71% of advertisers have fully migrated to expanded text ads, with an additional 24% still working through their migration, using a mixture of standard text ads and expanded text ads within their account. Those who have made the migration have mostly seen positive results. 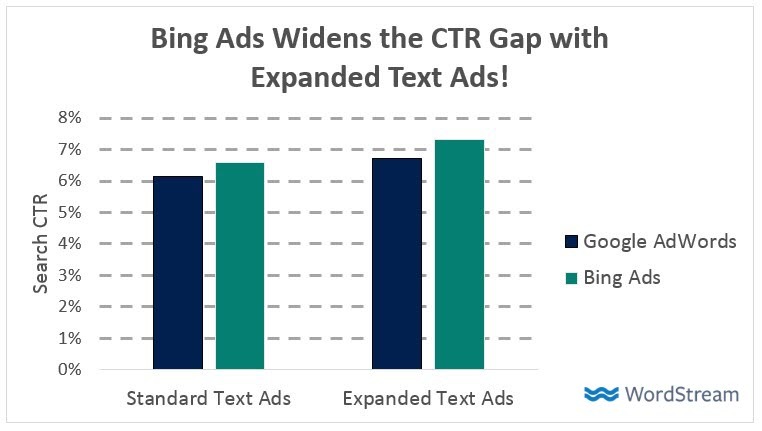 In July, those who were migrating between standard text ads and expanded text ads saw their ETAs average an 11% higher CTR than their standard text ad counterparts. So, by nearly every metric, most advertisers have found success in transitioning to expanded text ads. But that’s oversimplifying the story. Many advertisers found immediate success with their ETAs, but I’m sure that nearly everyone who’s made the transition has a few horror stories or scars to share. Why was this transition more difficult for some than others? Rewriting all your ads is certainly a laborious task, and it appears that in all this work over the past year, many advertisers forgot to implement some of the industry’s oldest best practices. These forgotten best practices may explain why so many marketers are so unenthusiastic about Google’s expanded text ads and struggling to make them work. These four best practices still matter – here’s why. 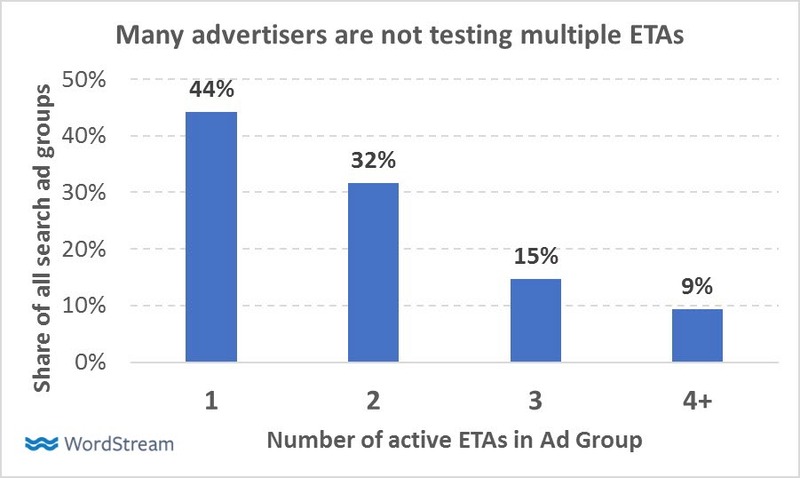 You’ve likely heard dozens of experts say that ad testing is important, but in the focus to get ETAs into every ad group, most advertisers have settled for testing a single ETA in each ad group. 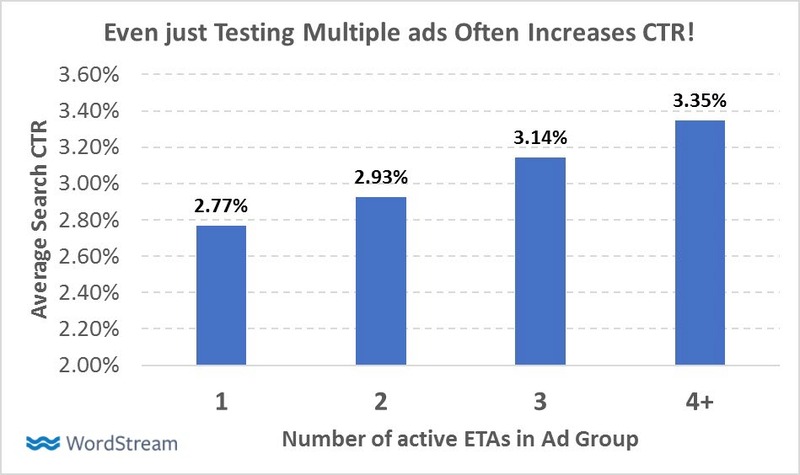 Fewer than a quarter of advertisers have followed through on older best practices of creating multiple ads in each ad group. When all is said and done, there are overall fewer ads being tested at a time in AdWords today than there was a year ago. This is an unfortunate trend to see – we know that ad testing is one of the most important habits in a successful paid search campaign, but many are focusing too much on finding the one perfect ETA or holding on to their standard text ads that they’re no longer ad testing as much as they used to. As Larry Kim used to say, you need to test 100 different ads to find one unicorn ad – with CTRs 3 times above average! Raising a unicorn by testing hundreds of different ads is no small task, but even the smallest amount of ad testing has its benefits. Our data shows ad groups with multiple ETAs were much more likely to find success in the migration and averaged a 21% higher CTR overall! If you’re testing different calls to action or offers in your ad copy, they’ll of course perform differently with different kinds of searchers. So which ad will show? If you set your ads to rotate evenly, you’ll be as likely to show your best offer for this search as you would any other offer. If your campaign is set to rotate ads to optimize for clicks or conversions, however, Google will use signals like a user’s search query, device, demographic, time of day, and past search behavior to show ads more likely to earn you clicks and conversions. The change is a simple one, but as ad testing becomes more complex, it’s increasingly important. This easy change may also have noticeable changes on your account’s performance. Throughout Q2 2017, we transitioned 419 accounts from a “rotate evenly” to an “optimize for clicks or conversions” ad rotation setting, and the results were, on average, an 8% increase in CTR and 11% increase in CVR! A fair objection, but it’s worth noting that ad rotation doesn’t affect which ad is shown, but instead which ad enters the ad auction. It’s a subtle difference, but if Google expects an ad to perform worse, then Google may reduce your Quality Score and ad rank in that auction so your ad may appear in a lower position or less frequently. As a result, you’ll seldom see “rotate evenly” ad rotation show equal ad impressions or position among ads in an ad group. Consequently, “rotate evenly” can be sabotaging your own ad tests’ results as they run. But often, “rotate evenly” prevents your ad tests from succeeding simply because the account managers forget to follow up or take too long to conclude their tests. What do you do with an ad with no conversions? What about one with no clicks? What about ads in low traffic ad groups? If you don’t have the time or data to conclude these ad tests, then optimizing your ad rotation may be your only path toward success. Looking at the same data by device reveals meaningful insight – the first ad may perform better on desktop, but the second ad performs better on tablets and mobile! You may not immediately notice these trends, but Google does and accounts for trends like them when optimizing your ad rotation. A few years ago, it was a no-brainer to make use of every possible ad extension – sitelinks, call extensions, location extensions, maybe an app extension, and you were done! But Google has made new ad extensions all the rage, releasing a new one every few months. Now with callout extensions, structured snippets, price extensions, affiliate location extensions, message extensions, and Google’s newest promotion extensions – it’s easy to fall behind or be tempted to skip one. I mean, if your goal is to drive online conversions, why would you spend a ton of money to have people click on your location extension, right? Well, not really. 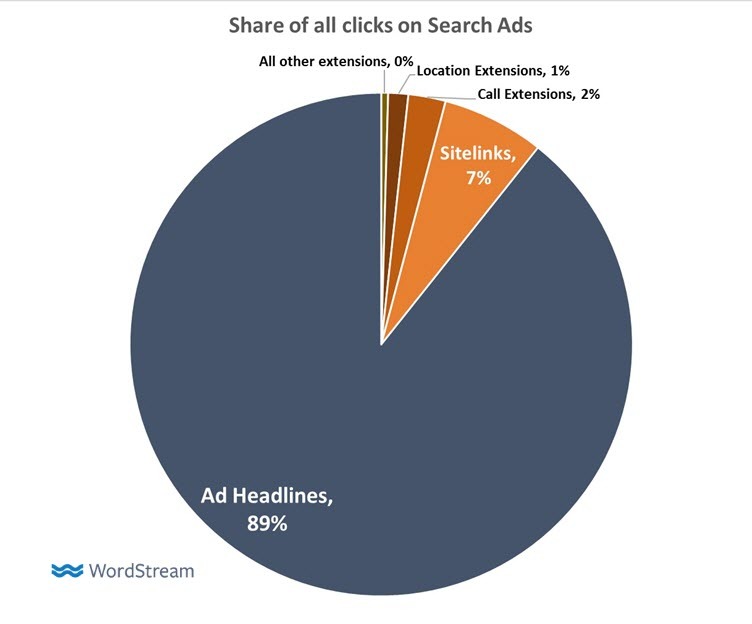 Even if you’re showing multiple types of ad extensions, very few people click on extensions – 89% of all clicks are on the ads’ headlines themselves. Sitelinks may get a small share of clicks from these ads, but overall these extensions get few direct clicks and cost almost nothing. Ok, if no one clicks on ad extensions, then why bother creating them? Well, even if few people click on an extension, people certainly notice them immediately! Compare the following two ads – which are you more likely to notice and click on? 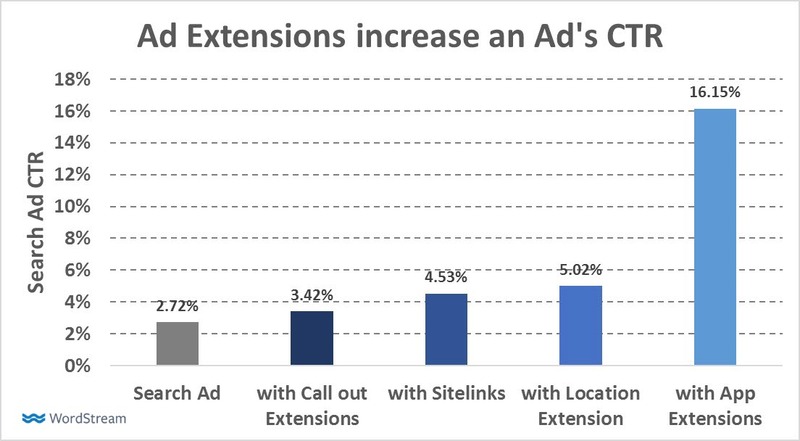 Ad extensions get people to notice your ad faster, and even if they don’t drive direct clicks, you’ll certainly notice more clicks when an ad extension is showing. For example, location extensions may only drive 1% of all paid clicks from the SERP, but ads with location extensions have almost twice as high a CTR as those without a location extension showing! App extensions may drive even fewer clicks, but they can increase your ad’s CTR six-fold! These increases in CTR are great in themselves, but they also help to improve the Quality Score of your ads, ultimately saving you money! The result? When that address shows, our ads have a CTR twice as high as when it doesn’t. Our next closest competitor is also pushed 12pts further down the SERP. The costs for these benefits? A whopping $6.04 last month. The good news – most accounts have created common ad extensions like sitelinks, callouts, and call extensions. The unfortunate news – while most have created these extensions, 1 out of every 7 accounts will forget to apply them to all (or in some cases, any) of their campaigns, and thus many of their campaigns don’t reap the CTR and Quality Score benefits of these extensions, even after all the work of creating them! 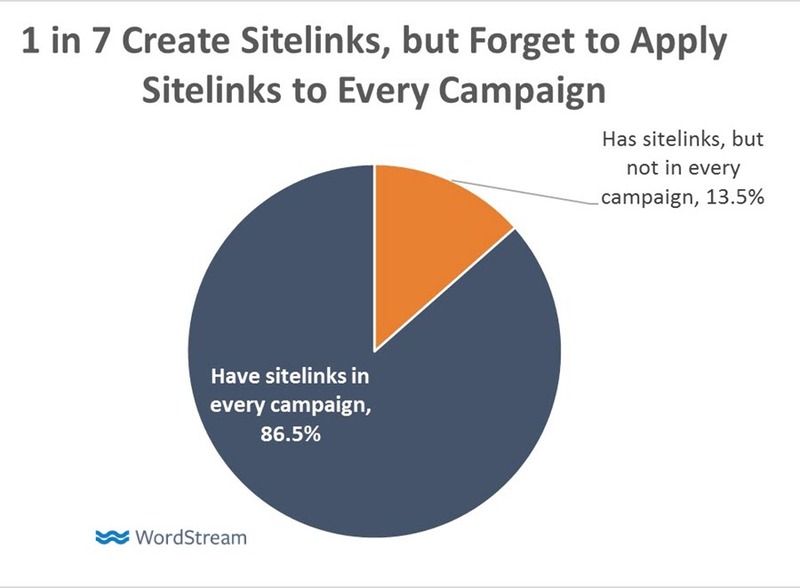 While an extensive audit of your account will catch these kinds of mistakes, it’s too easy to forget to reapply each ad extension after you create a new campaign. To protect yourself from not having extensive ad extension coverage, you can create some generic ad extensions that will apply to your entire business at the account level. As you create more specific campaigns and want to complement your ads with more relevant ad extensions, you can also apply those extensions at the campaign or ad group levels to suit your needs. Extensions at the ad group or campaign level will be used within those ad groups and campaigns instead of those at the ad group level! Combining account level extensions with campaign and ad group level extensions gives advertisers the control they need while ensuring full exposure across all their ads. 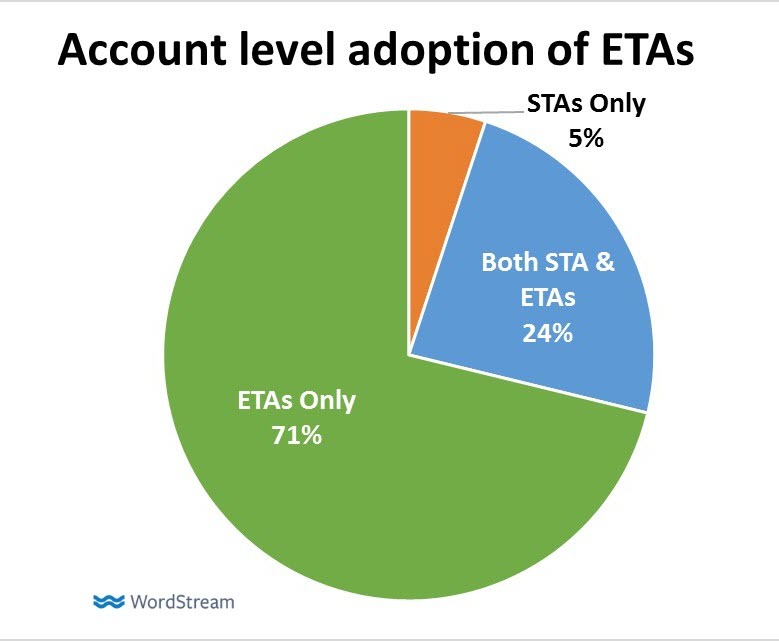 These best practices have been overlooked in the transition to ETAs over the past year, but implementing them is simple and should significantly improve your ads’ performance! Where not otherwise noted, the aggregated data in this post is based on a sample of 11,014 accounts with active search (excluding DSA and shopping) campaigns.